I’m normally an advocate for social media silence, but national retailer Costco was quick to repent for its sins with a statement – after the brand was caught out last week. To put it into context, a Californian pastor noticed that a stack of Bibles were labelled as fiction in one of its stores. Now, you might not believe that this book contains the truth, the whole truth and nothing but the truth, but there’s no need for the brand to potentially offend the 246m Christians in the US. 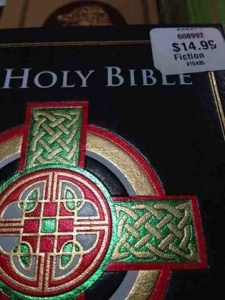 Costco’s distributor mislabelled a small percentage of the Bibles. However, we take responsibility and should have caught the mistake. We are correcting this with them for future distribution. In addition, we are immediately relabelling all mislabelled Bibles. We greatly apologise for this error. By the time this was issued it was too little too late. Pastor Caleb Kaltenbach’s tweet had already shocked his congregation, who questioned if Costco was guilty of religious discrimination. And 1,466 followers, 253 retweets, 88 favourites and a flurry of national news stories later, it got so out of hand the pastor had to calm his flock down by claiming he wasn’t angry, just interested. The one thing Costco didn’t do was use its social media channels to defend itself. Perhaps it was trying to bury bad news or take the approach that what its customers don’t know won’t hurt them (or the business). But failing to maximise its 1m reach on Facebook seems strange, especially when its Twitter pages are such a mess. Well, at least Caleb has a pinch of inspiration for his next sermon and has successfully engaged with his audience. But the moral of this story is that if you’re truly sorry for your actions, God will forgive your mistakes.